The Beach Boys "Little Saint Nick"
Since it is the season for giving and all that, the recently reunited Beach Boys are spreading that cheer via a newly unearthed yuletide number. This version of "Little St. Nick" was recorded in October 1963, several months before the 1964 Christmas album sessions, and wasn't used at the time. Brian later took this backing track and used it as the foundation for the song "Drive In" for the 1964 All Summer Long album. 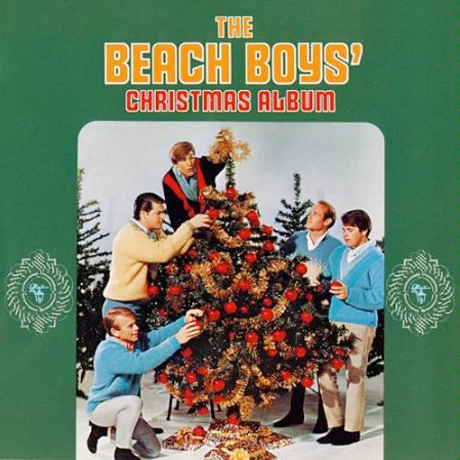 This version with the "Little St. Nick" lyrics remained unreleased until Mark Linett discovered it while preparing the first CD releases of the Capitol Beach Boys catalog, and it first saw the light of day as a bonus track on a now out of print CD edition of the 1964 Beach Boys Christmas Album. You can hear "Little Saint Nick" over here on Brian Wilson's website.